From the Book of Revelation, to Y2K, to the supposed end of the Mayan calendar in 2012, it is fair to say that people have long been fascinated by the “end of the world.” This is part of our linear, fatalistic, religious, and/or increasingly nihilistic thinking: If everything had a beginning, then everything has to end, right? As Hyong-jun Moon argues in “The Post-Apocalyptic Turn,” our obsession with worldwide calamity arises from “urgent socio-political questions such as danger of globalization, effect of neoliberal capitalist hegemony, ecological disasters, fragility of human civilization, and so on.”1 Not surprisingly, these questions manifest themselves in contemporary horror, sci-fi, and thriller movies. Zombies have been overwhelmingly popular, which speaks to our fears concerning overpopulation and epidemics. Below is a list of 10 movies from 2016 and forthcoming in 2017 that examine the apocalypse and post-apocalyptic world, be it through disease, disaster, or invasion. Many of them are teeming with zombies, and all of them explore how human morality would shift dramatically in the dead new world. 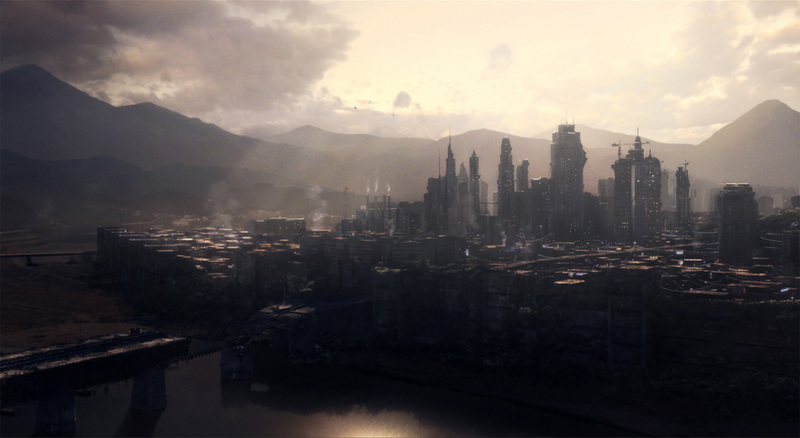 Top: The post-apocalyptic world of “Dust” is a somberly beautiful one. “Pandemic” is a first-person-shooter survival story with close-up danger and gore. 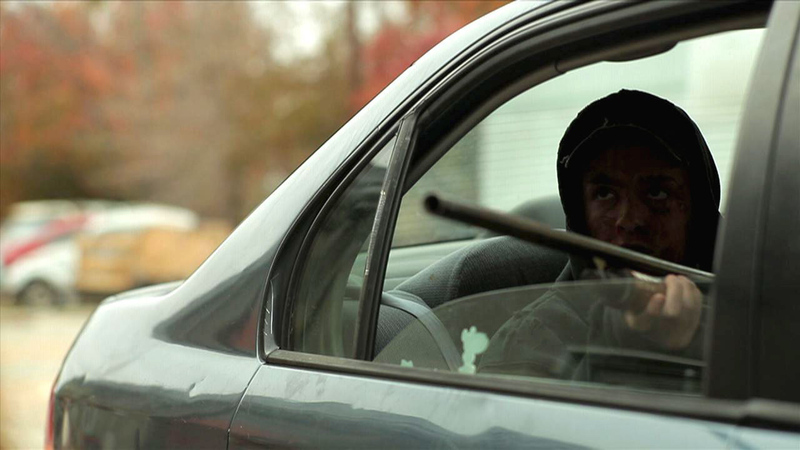 Directed by John Suits, “Pandemic” gives you front-row seats to the zombie apocalypse. Set in Los Angeles, Lauren Chase (Rachel Nichols) is a doctor who is sent on a mission to retrieve a lost medical unit. 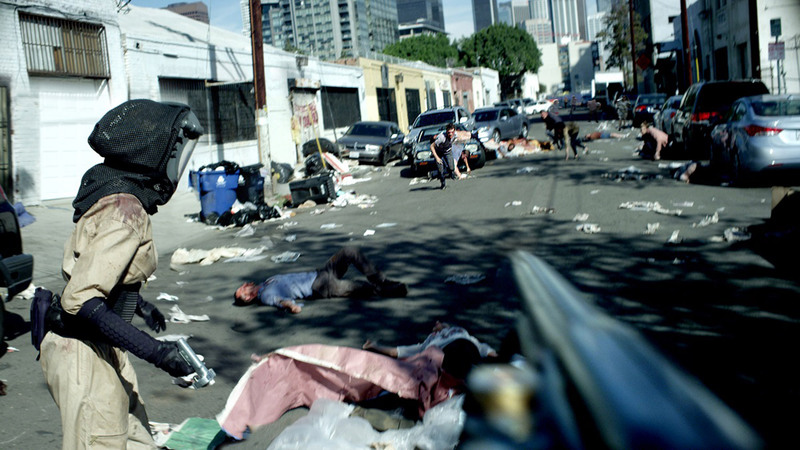 What they find out there is (predictably) carnage and mayhem, the streets filled with “Stage 5” infected people who are able to run and manipulate objects as weapons. 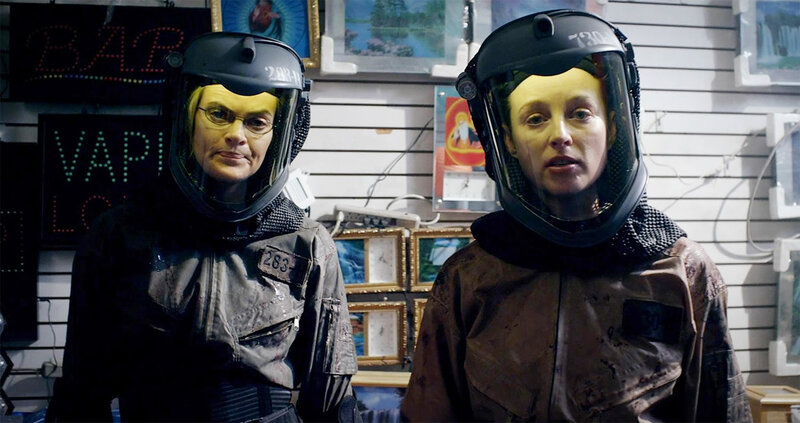 The movie’s most interesting aspect has to do with its filming style, which is shot from the perspectives of the characters, who all have cameras built into their helmets. Like a first-person-shooter video game, the viewer gets uncomfortably close to the drama, violence, and difficult decisions that Lauren has to make in order to save her daughter. 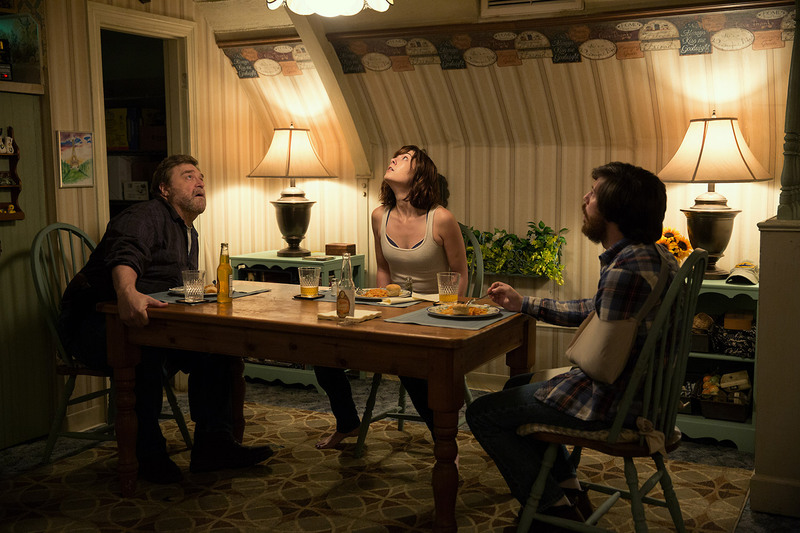 “10 Cloverfield Lane” will have you guessing what is real and who the real villain is. When the world goes to hell, you definitely should never trust the “kindness” of strangers. Dan Trachtenberg’s pseudo-sequel to the 2008 film “Cloverfield” mixes the post-apocalypse genre with psychology and the terror of paranoia. After a car accident, Michelle (Mary Elizabeth Winstead) wakes up in a windowless, cellar-like room with Howard (John Goodman), who claims to have saved her from an attack on Earth that has left the air lethally contaminated. Howard’s bunker is an apparent safe haven, equipped with an air filtration system, a generator, and food supplies. Also present is Emmet (John Gallagher), an employee of Howard’s. Without having clear evidence of the wasteland above her, Michelle starts to suspect that Howard is actually a lying, delusional serial killer, and that she and Emmet are his next victims. 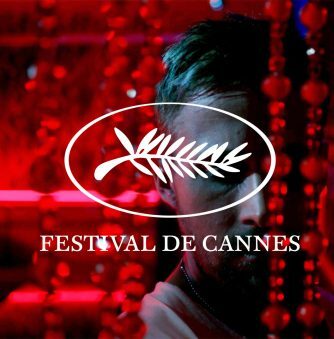 Claustrophobic and filled with trickery, this film forces the viewer contemplate the dilemma of being stuck with a potentially dangerous person in a world potentially filled with danger. Winstead’s performance as a highly intelligent, resourceful, and resilient protagonist is thrilling to watch, right up to the movie’s surprising and dramatic conclusion. Aliens have a step-by-step strategy for making humans extinct, and it involves turning them on each other. While J Blakeson’s “The 5th Wave” suffers from a rushed and clumsy plot, stiff acting from the support characters, and the unbelievable concept that apocalypse survivors could have clean hair, it is noteworthy as the only “Young Adult” sci-fi/post-apocalypse film on this list. After a giant UFO appears and unseen aliens begin exterminating human life using various lethal “waves” (the first wave being an electromagnet pulse that shuts off all electricity, the second a series of earthquakes and tsunamis, and so on), high-school student Cassie Sullivan (Chloe Grace Moretz) is orphaned and then separated from her little brother, who she must risk her life to find; survival isn’t easy in a country that has become a dystopian military state, where even other humans are a threat. Nevertheless, Cassie is a resourceful protagonist who quickly adapts to the harsh new world in order to protect herself and those close to her. 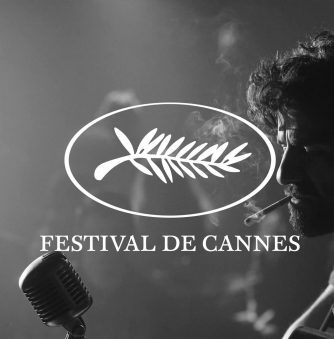 Director Ali F. Mostafa brings Emirati films to the international stage. Ali F. Mostafa’s new movie “The Worthy” takes us to the post-apocalyptic Arab world, where a chronic water shortage has left the life-sustaining fluid available to a very few; everyone else has to find water and maybe even fight for it. A small group of survivors huddle inside a warehouse containing the area’s last remaining clean water. When two visitors enter the compound, they become pawns in a survival test “where only one of them shall be chosen worthy.” The plot descends artfully into chaos, making the film a thriller mixed with social commentary. For Rami Yasin, the movie’s co-producer, part of the film’s power and importance comes from its depiction of world-ending events from a distinctly Arab point of view, asking the question, “Were would we be in ten years if this continues?” While showing everything from a regional perspective, the film also explores the universal desire to fight for one’s humanity. 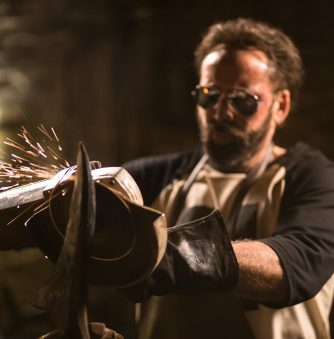 “The Worthy” has gained deserved recognition, premiering to great acclaim at the BFI London Film Festival last October, and will be released in the United Arab Emirates and other global markets early next year. 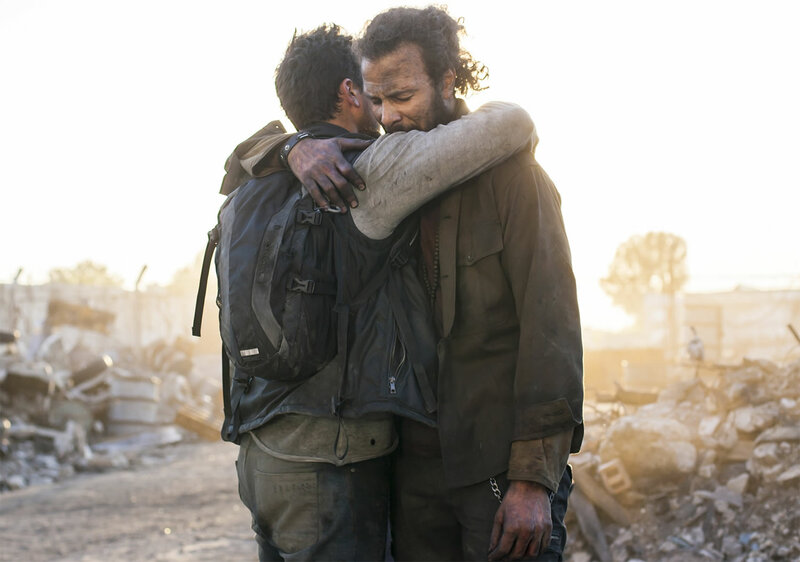 “Refuge” is a gloomy contemplation of moral relativity in the post-apocalyptic world. “Refuge” is a movie that will make you wonder what it would take, emotionally and physically, to keep you going if our institutions broke down and the world truly ended. 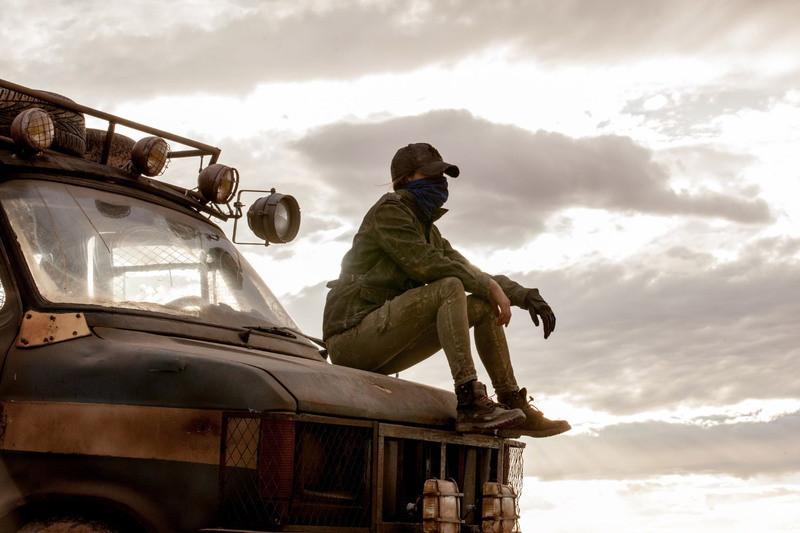 Director Andrew Robertson’s post-apocalyptic landscape is a depressing one, filled with gray skies, perpetual hunger, and baseball-wielding maniacs who pillage and murder other survivors. 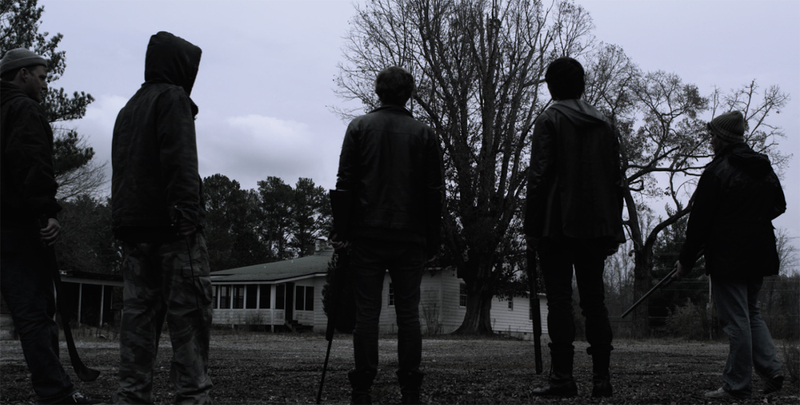 Beginning as “The Mansion” in 2013, “Refuge” finally got its big release this year with Gravitas Ventures and is now available on VOD. What makes this film worth seeking out is its realism and the way it builds a pervading sense of alienation and imminent death. The plot involves two groups playing cat and mouse, the cat being a pack of home-invading thugs, the mouse a young family trying to protect itself. The film’s message is dark and mysterious, and the camera remains mysteriously objective, carefully and unapologetically showing us how there are drastically different approaches to survival. “Dust” packs in a lot of epic scenery and philosophical takeaways about our relationship with nature. It took nine years of work and $100,000 in crowdfunding to produce the 25-minute-long work of art that is “Dust.” First conceptualized by Josh Grier, Mark Grier, and Jason Gallaty in 2007, “Dust” was released to the world this year after having great success at film festivals. 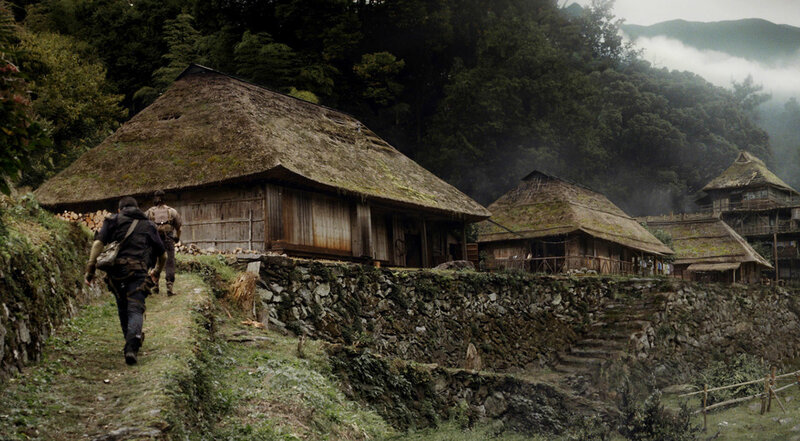 The story takes place in post-apocalyptic Japan, where a mysterious disease has seized the countryside. As a protective but brutal measure, the city of Kabe is planning on fortifying its walls against anyone left outside. Emotionally shattered after the death of his daughter, a lone tracker named Irezumi (Masashi Odate) searches for the source of this mysterious dust, trying to figure out how to save a world that is critically out-of-balance. Filmed in various locations throughout Japan, “Dust” paints the portrait of the apocalypse as a lush, melancholic emptiness whose shadows are filled with creatures that are both magical and corrupt. You can watch this extraordinary short film here. “Train to Busan” reawakens the zombie-thriller sub-genre by packing a savage horde of the undead onto a train. While Yeon Sang-ho’s “Train to Busan” is more apocalyptic than post-apocalyptic, it gives us a good look at an end-of-days scenario; in the span of one train ride, a country unravels into a blood-bathed garrison state that lies to and exterminates its citizens. Seok-Woo (Yoo Gong) is a divorced father who promises to take his daughter Soo-an (Soo-an Kim) to see her mother in Busan. His promise to her is severely derailed when a woman comes on board with a bite wound on her leg. Quickly contorting into a white-eyed zombie that can run and flail at supernatural speeds, the woman attacks a train attendant, who becomes infected, and so it begins. The core characters—all of whom represent a diverse range of ages and classes—have to work together in moving between the train cars to safety, all the while having no real weapons to protect themselves. 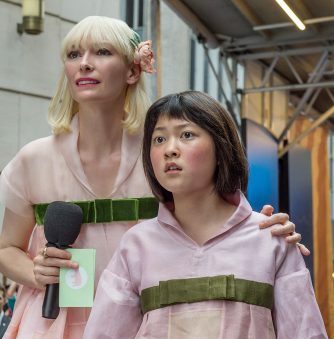 Comic relief and moments of calm are hard to find in this movie, but somehow it still manages to explore the breakdown of society and order, the value of family, and the will to survive. After 15 years, Milla Jovovich will play the unshakable character Alice one last time. Yes, they are still making these movies, but this one is set to be the last. 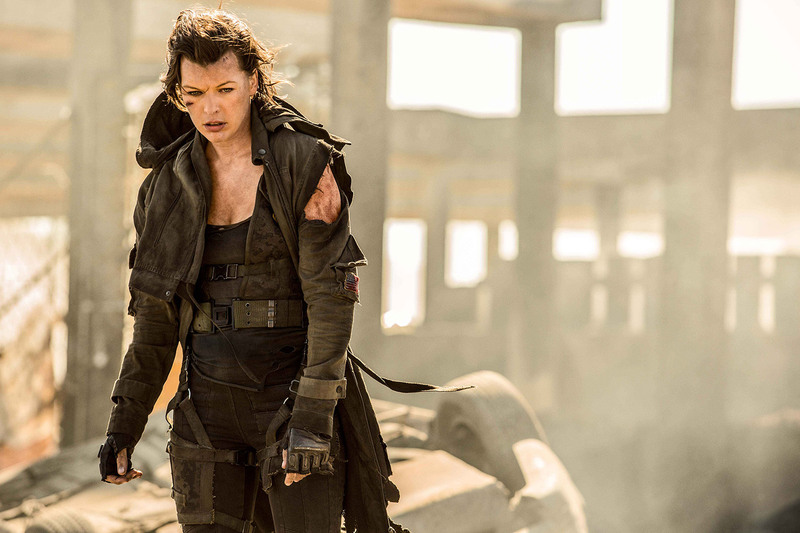 Milla Jovovich returns to play Alice, the gun-slinging heroine who is determined to save the world (or what’s left of it) from the hordes of zombies and mutants unleashed by the Umbrella Corporation. Alice must return to Raccoon City, the origin of the outbreak, in order to destroy the evil supercomputer, the Red Queen. While fans of the series and its namesake video games might be exhausted of the Alice plot, we can expect to see a lot of action in this film, as well as some epic shots of the Raccoon City wasteland. 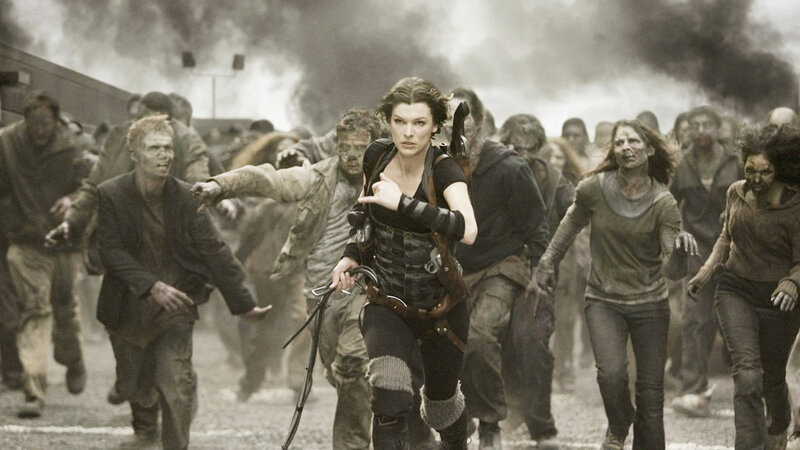 “Resident Evil: The Final Chapter” will be released in North America in January, 2017. Survival tip: don’t go out at night. 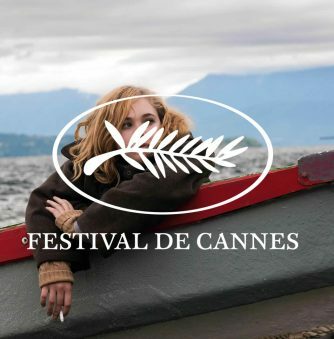 “Hostile” (2017) is the first feature film by French director Mathieu Turi. While not much is known about the film at this time, it sounds very promising. 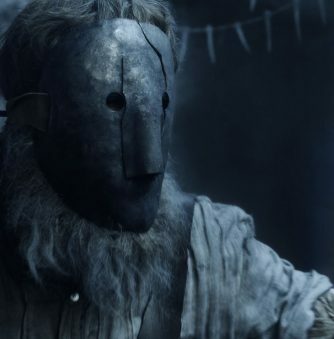 Juilette, the film’s protagonist, is a survivor of the apocalypse. Most of the world’s population has been exterminated, and those people remaining must work hard to find food and shelter. In addition, there are disturbing creatures that come out at night to hunt (presumably, the silhouetted beast seen on the film’s cover art). Juliette is one of the few individuals who is courageous enough to venture into the dangerous cities to scavenge for food. While returning from one of these missions, she crashes her truck and wakes up alone with a broken leg, and the sun is setting. 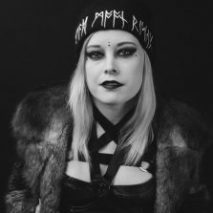 Regarding the film’s goals and motivations, Turi had this to say: “With Hostile, I want to tell an intense and tragic story. The heart of the script is definitely the human being.”2 It will be interesting to see how Turi thinks human beings will survive—physically, mentally, and morally—when the feared apocalypse arrives. Andy must find safety for his daughter before he succumbs to the zombie virus. Set for release in 2017, Ben Howling and Yolanda Ramke’s Australian movie “Cargo” promises to be a zombie story with heart. After being bitten by his undead wife, Andy (Martin Freeman) has 48 hours to get his infant daughter Rosie to safety—and he will have to resist death and make difficult alliances in order to do so. “Cargo” is actually a feature-length version of the 2013 short film of the same name, which you can watch above. This “teaser version” gives us a glimpse of what’s in store for Andy and Rosie, showing them at the beginning and end of Andy’s mission. 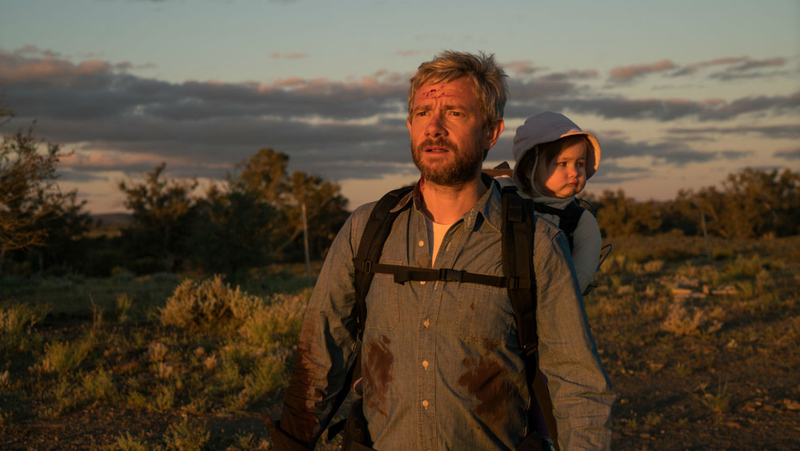 While we know Andy’s fate, for this idealistic movie-watcher, “Cargo” seems filled with inner hope (something that is rare in the post-apocalyptic genre), using the figure of the child to signify the survival of human compassion against all odds. 2. Turi, Mathieu, quoted in "First Word on Mathieu Turi's Hostile." Dread Central.